Early on and feeling good! I have been doing endurance sports for the best part of 20 years. I don’t keep count but that’s probably close to 200 events. Until a couple of days ago I’d never had a DNF (Did Not Finish) against my name, which is something that I’d always been rather proud of. Hell, I must be one tough, macho dude right? 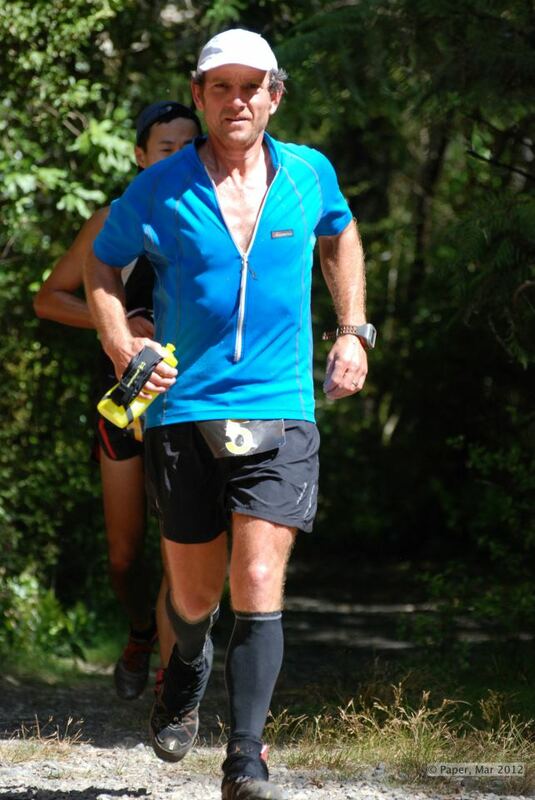 But at approximately 7.15pm on Saturday, just over 12 hours into my second Vibram Tarawera Ultramarathon – my 5th 100 km running race – I uttered the fateful words “I quit”. Those that know me well will need little convincing that this was not done on a whim. It was a very hard decision to make. It was a very painful decision to make. I’d been thinking about little else for the previous 1½ hours of agonisingly slow walking between the 81k and 90k aid stations. But with intense stomach pain, an ache from the area where I think my kidneys are (I failed biology 3 times at school so I’m never sure on the finer details of physiology) and only able to digest the odd sip of coke, the writing was well and truly on the wall. Added to this I found that every time I did try to break into a trot my groin/hip flexors were completely ceased and forward motion at anything other than a saunter was just not possible. The really disappointing thing about all this was that I’d had a great first three-quarters and was easily on target for my first ever sub-13hr 100k. I’d been pushing hard and single-mindedly with this goal, and only this goal, in mind all day. But what made the decision easier when it finally came time to swallow pride and abandon all the machismo nonsense, was the thought that there were bigger, more important goals on the horizon. At Easter weekend I’m attempting a PB on the Hillary Trail; two weeks later there is Everest in a Day to do; and in June I have the enormity of CoastPathRun to tackle. All of these are being done for a cause that is so much more important than my own self-esteem and pride. “Don’t stuff it up now Mal, think of the big picture and the things that really matter this year”. I repeated these words to myself time and time again until eventually I managed to convince that stubborn core of my being, the part of me that normally says “keep going no matter what” that today it was going to lose. DNF - but I live to fight another day! Then came the truly unexpected bit. In the minutes after informing a race official of my withdrawal, as I sat on a bench getting the comfort and support of my wonderful wife and friends, a strange sense of wellbeing and calm spread through me. Where I had expected to feel devastation and a massive sense of failure there was just the glow of satisfaction that comes from making a very hard but a very right decision. And two days on, still in some considerable bodily discomfort, but psychologically intact, maybe even psychologically enhanced by the experience, I find, surprise surprise, that the world hasn’t ended. I can still look forward with great anticipation to the challenges that lie ahead over the next few months. I didn’t ruin it all for the sake of pride. I am happy and content; and rather than feeling like a failure I actually feel quite wise, which for me is really quite a novelty! 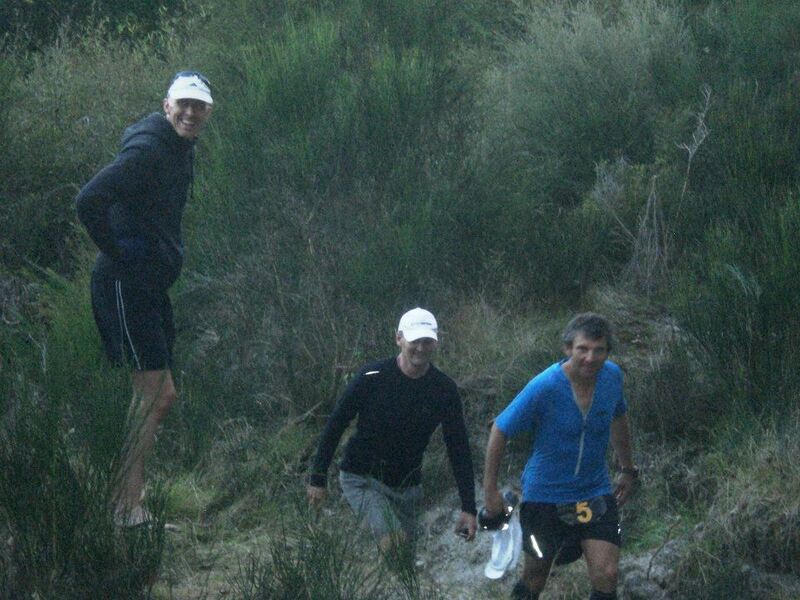 This entry was posted in Lessons learnt and tagged Challenges, inspiration, mental health, running, Tarawera Ultramarathon, trail running, ultra running. Bookmark the permalink. tough call but obviously the right call.Dehydration? still my hero mate.. :). tough call, good one, right one. bigger fish to fry, and best not fry the body. Sounds like you need a break matey. You looked utterly burnt on Sunday and over trained IMO. Take care and i hope it all comes good for you. very tough call, but the right one. Wise call Mal, and you are right, the planet is still spinning. That first Did Nothing Fatal is always a tough call but the tough guy made the call. You did good. Tough call to make, Mal. Correct one though. Keep in mind that the Coast Path Run won’t be at race pace like vTuM so your body won’t be pushed so hard so less chance of red-lining (so to speak). vTuM 2013 still awaits. Mal, when I saw you and all the others at that aid station I thought you had already been to the finish line and had come back to support other running friends. As I carried on with Keith I said exactly that, you will be looking at the bigger picture with your Coast Past Run. In my short career I have had to make the call on a DNF in a marathon and it was so hard at the time. See you and Sally on the HT Easter weekend! Hi Mal. If it’s any consolation, I pulled out at the 90K mark too – I’d blown up completely over the previous 20K. I felt bad about it on Sunday, but that passed and now it seems like the only sensible decision. Best wishes for a fast recovery.